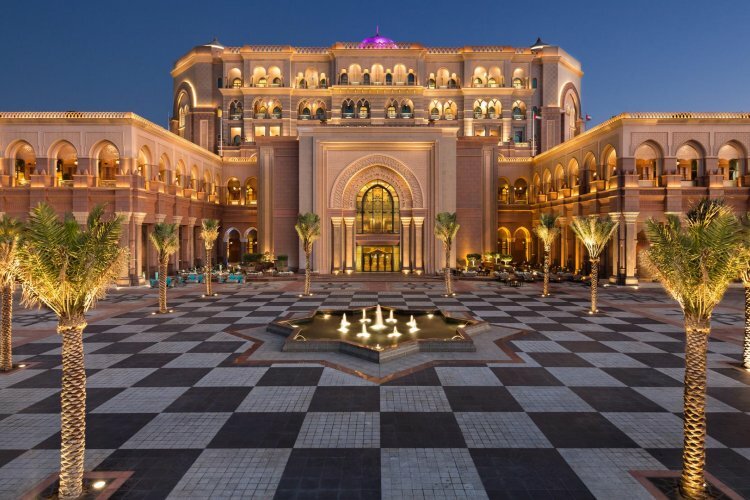 The Emirates Palace goes beyond 5 star luxury with an experience tailored to your individual needs. 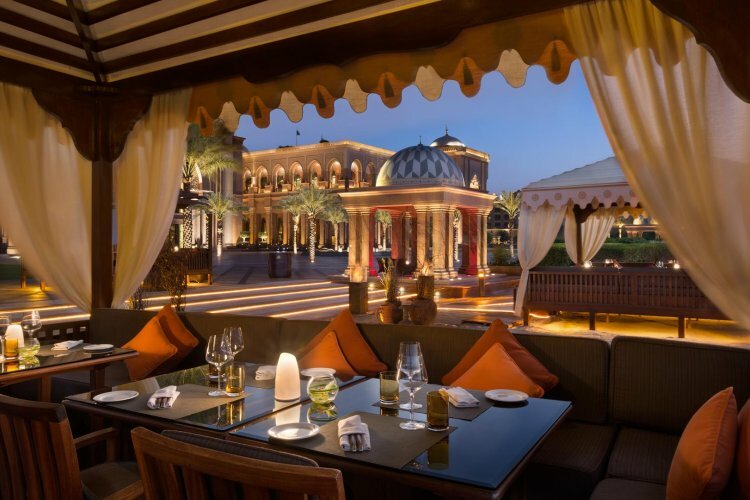 Located in the heart of Abu Dhabi the Kempinski Hotel is a great choice for both leisure and business travellers. 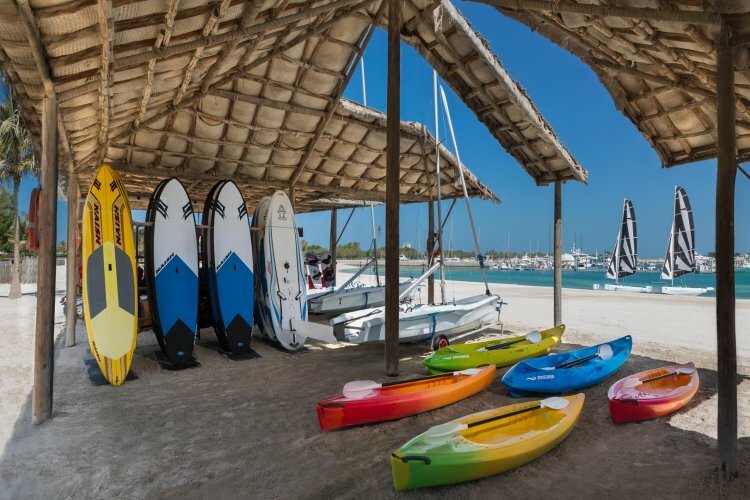 This luxurious hotel sits along a 1.3 km stretch of white pristine sandy beach and has 2 lavish swimming pools, 4 floodlit tennis courts, a kids' zone, spa, two gyms and water sports including snorkelling, windsurfing and sailing. 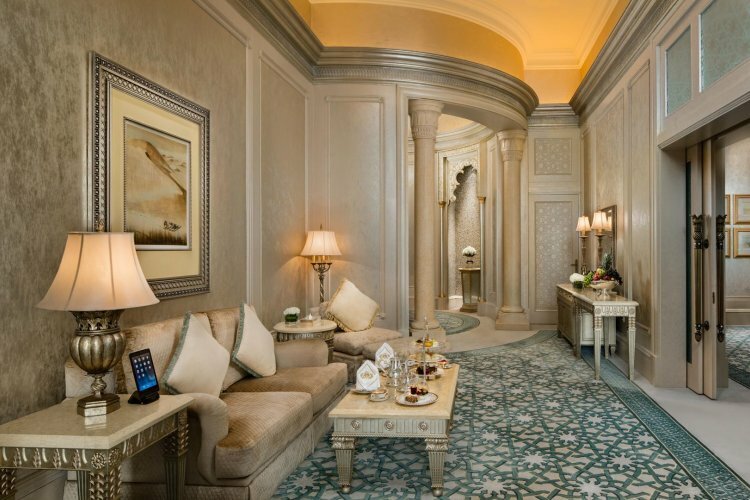 The rooms and suites at the Kempinski Hotel Emirates Palace offer true indulgence complimented by the legendary Arabian hospitality. 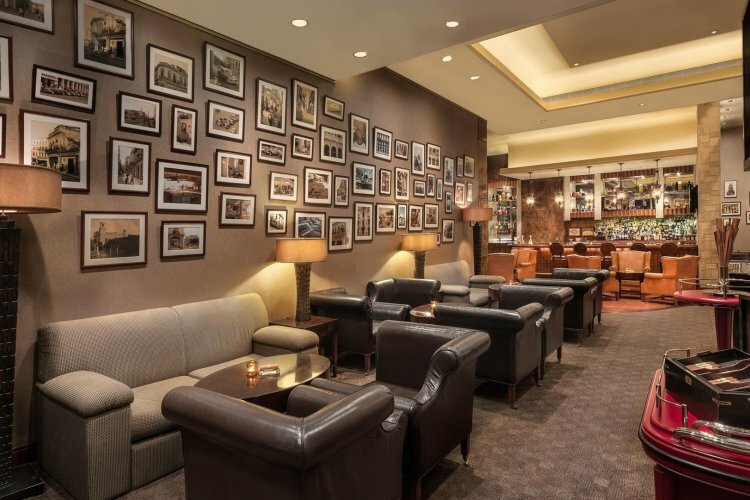 Each room has wireless internet access, a minibar, laptop-sized safe and daily newspaper service. 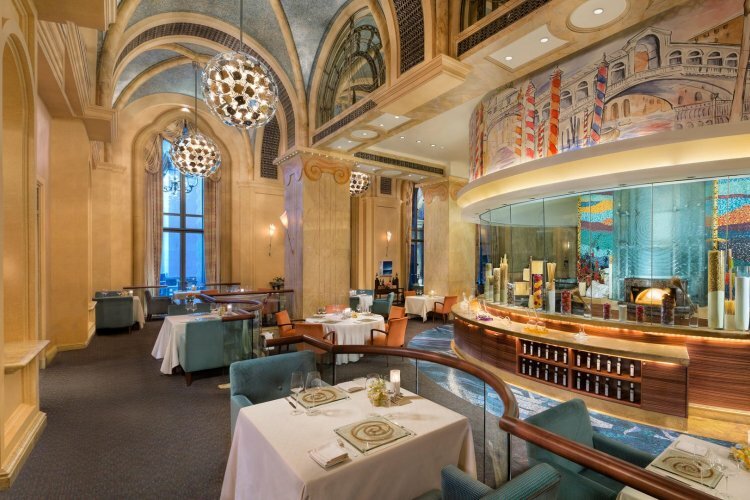 All of the rooms offer the same level of service and amenities with three different views. 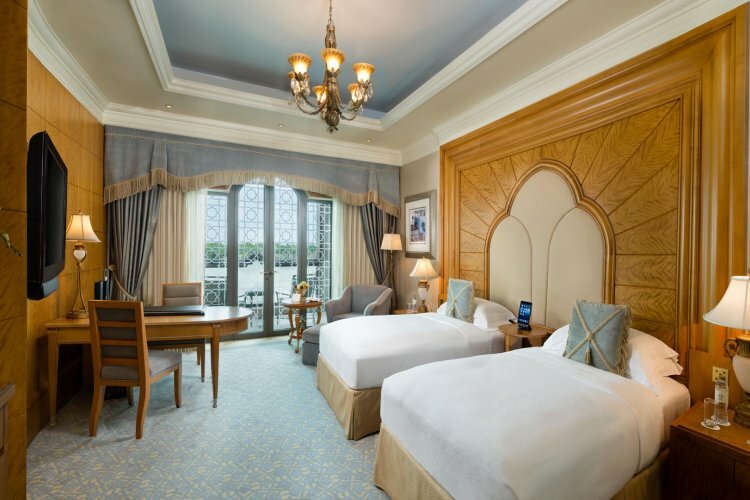 Coral Rooms have views of the lush landscaped gardens and Abu Dhabi's skyline, Pearl Rooms look upon the tropical gardens, swimming pools and beach and the Diamond Rooms have panoramic views of the Arabian Sea. 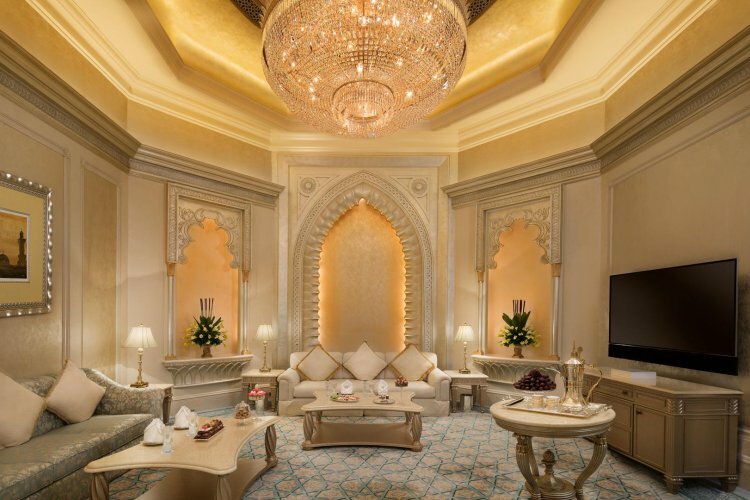 Luxury Arabian furnishings adorn each room that has a multimedia system, balcony, flat-screen TV and a 24-hour butler service. The selection of suites has lavish amenities, private butler, spacious lounge, private terrace and a luxury superior bathroom. 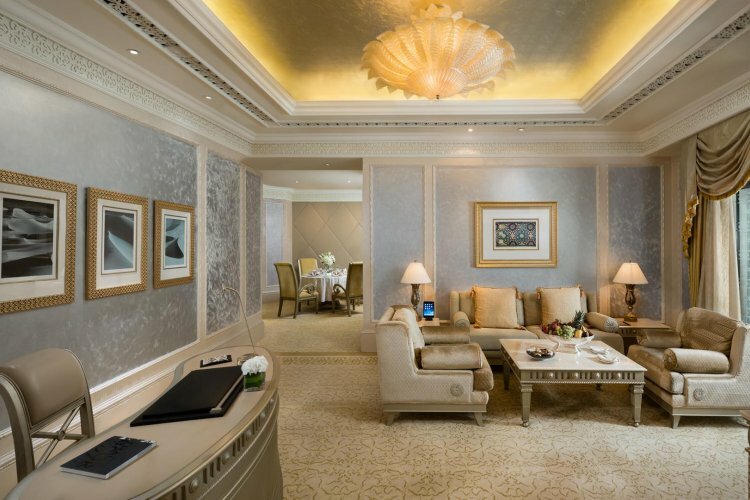 A variety of suite sizes exist and these include the 3 bedroom Palace Suites, which boast a living area, three regal bedrooms, dining room, pantry and extensive terrace. 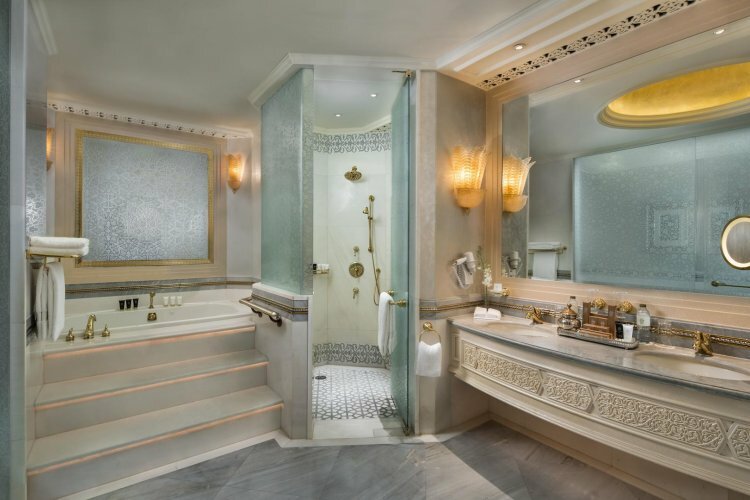 Other feature suites have different characteristics and amenities that may include gold-adornments, delicate silks, Swarovski crystal chandeliers, Jacuzzi and oversized bathtubs. 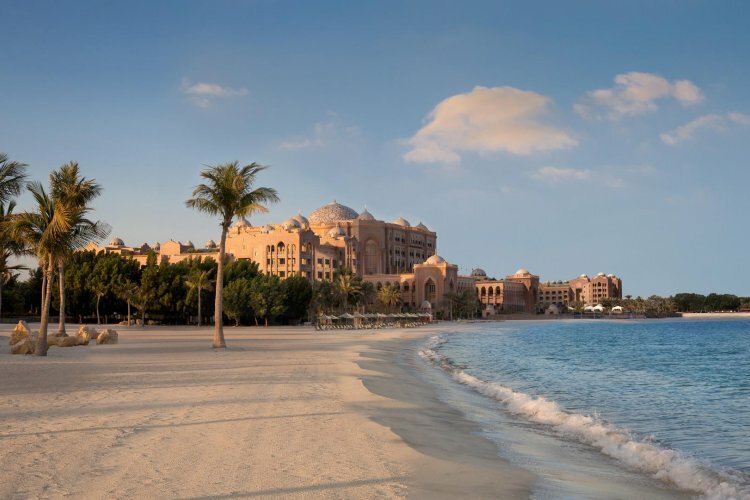 The luxury Anantara Spa will allow guests to indulge in a journey of wellness. The spa features seven private spa suites including private steam room & shower, invigorating ice cave, Moroccan-style Hammam with heated slab, steam and Jacuzzi, couples suite, Vichy room and private Thai suite for traditional Thai Massages. 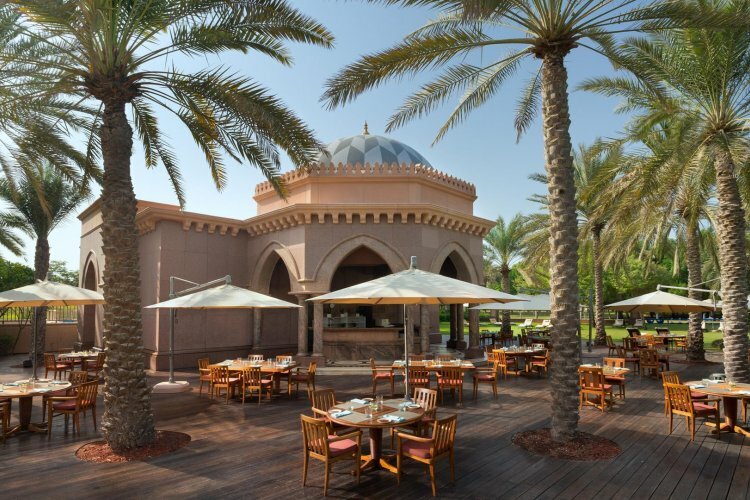 The Anantara Spa also features a beauty salon with a room service option and a fitness centre that has state of the art equipment and bicycles. A Body Mass Analysis consultation can be arranged and the qualified instructors can help experienced fitness addicts or those new to the gym. In fact the Kempinski Hotel has 6.4 km of paths for running and complimentary bikes for those who wish to explore the extensive grounds. 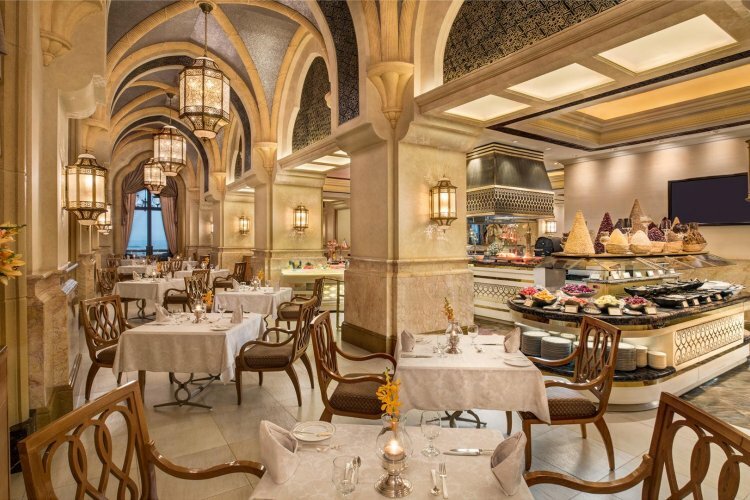 The unique Arabic culture of hospitability continues into its cuisine with the Kempinski Hotel offering the finest cuisine crafted by its multi-national chefs. 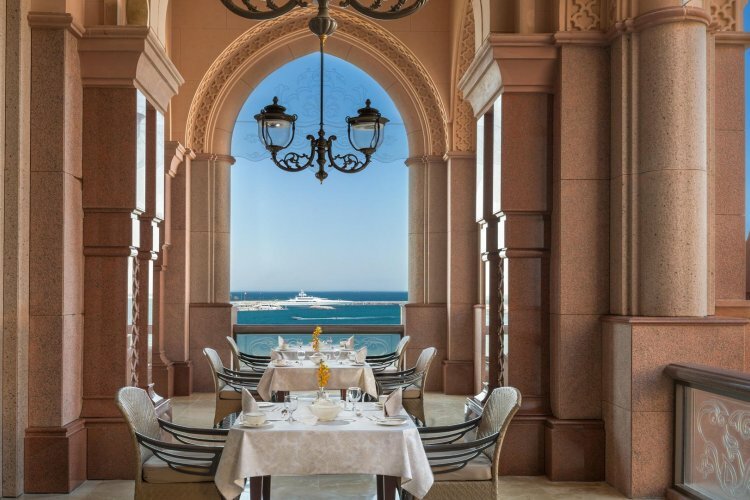 A total of nine restaurants exist in the Emirates Palace and cover everything from a sumptuous buffet menu for all-day dining to Italian dining with views of the beach and marina. 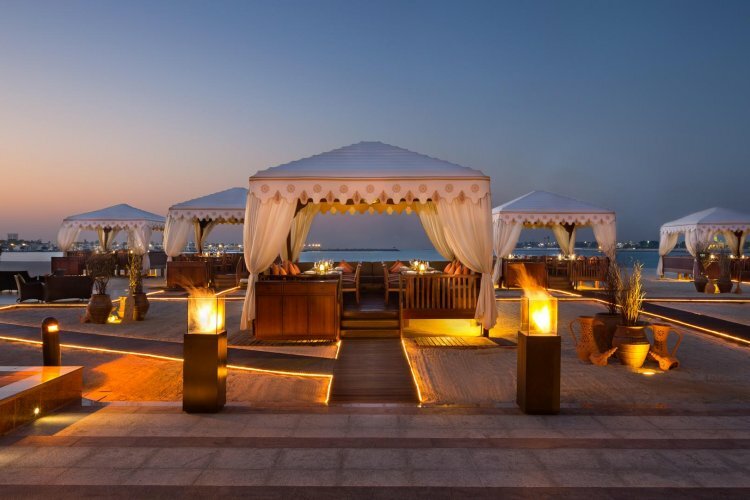 BBQ al fresco dining from gazebos located on the sand is also a unique experience or maybe oriental dining on a terrace or seafood served in the chilled ambience of an inside or outside terrace is more your kind of thing. 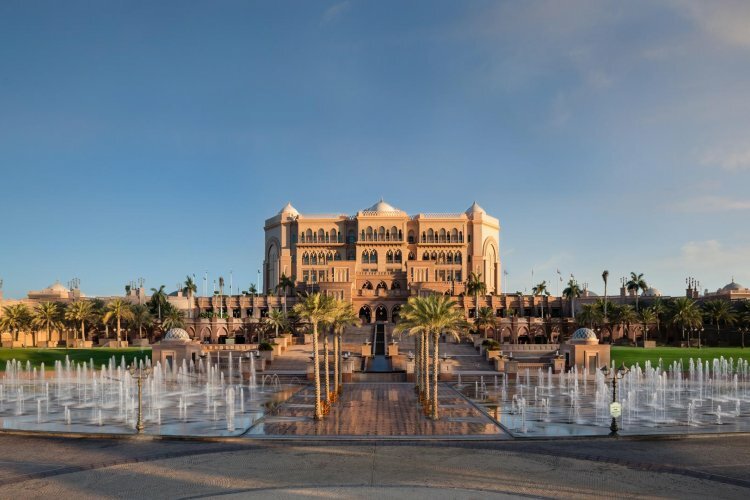 Wedding ceremonies and receptions can also be catered for at the Kempinski Hotel Emirates Palace and there is an auditorium hosting the world's greatest orchestras and operas. "Very pleasant in the low 20's but filly in late afternoon, cold winds blowing in." "We were lucky the majority of the time it was sunny and warm/hot although it did rain a few days but that was expected as it's a tropical country"
"Perfect. Not too hot and pleasant, dry heat." "Mixed as you would expect when visiting cloud forests, rain forests, mountain regions Caribbean and Pacific beach resorts." "Amazing weather - hot every day"
"Hot and Dry ... aircon is a must!" "28 degrees and sun shine, perfect"
"Very good.Sunny, variable cloud, about 20 c.1 thunderstorm." "BRILLIANT SUNSHINE ~ IN THE UPPER 2O'S"
"not as good as it has been in the med"
"Warm in the high 30s but we have previously know it be up to 50s." "Sometimes almost too hot. Generally very good." "Fantastic, hot, but that's what we like"
"Sunny and hot max 35c min 23c"
"The weather was hot blue skies the whole time mwe were there"
"Very hot. 38degrees at 9 am"
"We travelled in September 2016 ... the minimum temperature was 39 degrees and the maximum was 44 degrees." "Rained on our visit to Cannes cold to start with then was 35 degrees"
"The weather was amazing, very hot and perfect at night time." "Good, very dusty for three days, one wet and one glorious"
"perfect not mega hot but lovely and warm"
Our average customer service rating on Trust Pilot is a ridiculous 9.9 out of 10. And that’s from 2944 reviews (as of 22/Apr/2019). We have booked over £100m of holidays and so it's not the odd lucky customer who gets a good experience.